Fourth suspect provides cover for accomplices outside the cashier’s room at the customer service/pay counter while customers continue shopping at the Grant Gas and Mini Food Mart. Black male in red shirt who broke into store clerk’s cashier room and is sought for firing handgun that killed store clerk Gurgeet Singh. 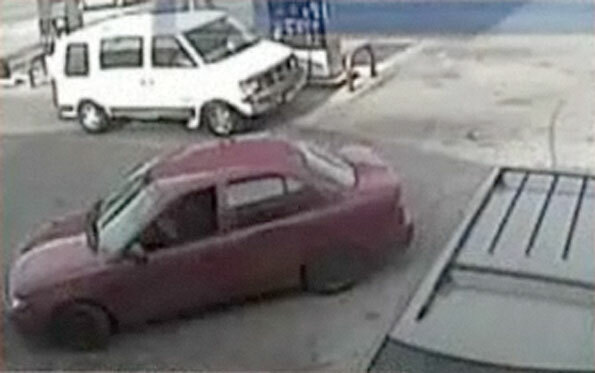 Suspect’s getaway car — a red older model subcompact. Video surveillance shows the car was missing hubcaps on left side front and rear wheels. Right side unknown. 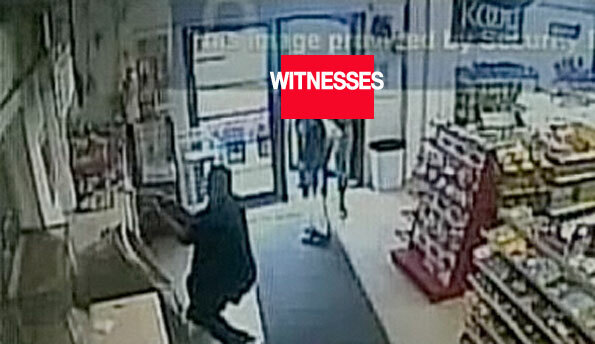 Surveillance video shows four men entering a gas station convenience store in Gary, Indiana with one black male in a red shirt and dark shorts breaking into the store clerk’s cashier room at the convenience store Sunday, June 14, 2009 and firing a handgun. 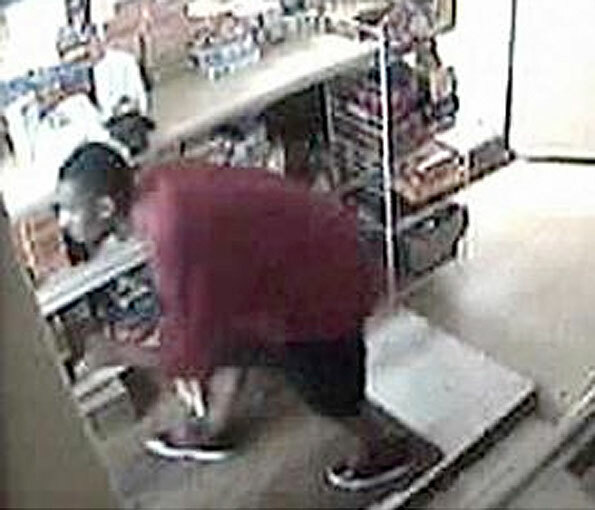 The video shows a man in a red shirt run up a store aisle first and then kick in the door to the cashier’s room. Within seconds, the store clerk, Gurjeet Singh, was shot in the neck at his work at the Grant Gas and Mini Food Mart, 1500 Grant Street in Gary, Indiana. Singh put his hands in the air and did not resist in any way before he was shot and killed. Two other suspects ran in the cashier’s room next in sequence. A fourth suspect stood in front of the cashier’s counter, where customers pay for products, and provided cover for the other three suspects. Among several customers, only one customer called 9-1-1 to report the crime. The four suspects are described as male blacks. Two were wearing black shirts and two men had red shirts. The shooter was wearing a red shirt, dark or black shorts, and black gym shoes with white trim bottoms.